The challenges of an interstate move are big and different, so you need to do your best to prepare for the tasks ahead. Before you pack your entire life in few cardboard boxes, you need to find cross country moving companies Connecticut you can trust with your belongings. Do you want quiet and peaceful life in farmland areas or to raise a family in friendly suburbs? Pick the best place for you in Connecticut. Constitution state offers you different lifestyles: urban, rural and suburban. 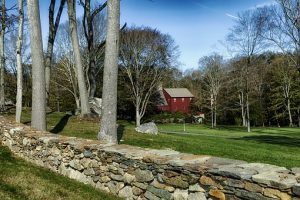 When moving to Connecticut, you can choose where you want to live: do you want a city lifestyle, quiet and peaceful life in farmland areas or to raise a family in friendly suburbs? Pick the right place before you call interstate movers. Moving to “Constitution State” requires few useful tips to make your transition go smoothly. And last but not least, don’t forget to change your address before making your move to Connecticut! It is not surprising that interstate moving companies are regulated differently from local movers. In their job is included extra distance and all the risks for cross country moving. All reliable interstate movers have an insurance to protect employees and customers in case of injuries during the transportation of the goods. Before you sign a contract with the interstate moving company, make sure to get a binding estimate in writing. 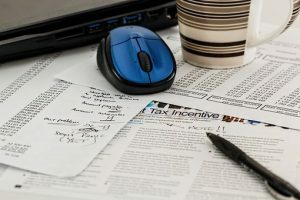 Be aware that a binding estimate isn’t the price quote. A binding estimate cannot be adjusted after the move. Fraudulent moving companies might change the final charges, but reliable movers will give you the exact price that won’t change at the end of the road. Before hiring cross country moving companies Connecticut, you want to be sure you are dealing with a reputable, licensed provider with interstate operating authority. Verified Movers help you find moving companies that stand out with the top-quality services and customer support. If you want additional property coverage, make sure to get extra insurance for high-value antiques and art. Your reliable movers will explain the full-value and basic carrier liability options to you. Reliable interstate moving companies will inform you of exactly moving steps you can expect on moving day. If you choose to hire interstate packers, before packing all items into boxes, create an inventory list of all household items with descriptions of their condition. Your reliable cross country movers should agree to this inventory prior to moving day. And that is precisely why we are your best choice when it comes to finding a mover. Having the right professional by your side at all times when moving is the only thing that can make your move smooth and stress-free. And that is exactly what you need. Moving is a process. And in most cases - a complex one. That means only one thing. It means that you'll need all the help you can get. Feel free to use our database and find the best cross country moving companies Connecticut there are! And if you are looking for anything else - our interstate moving companies Connecticut will be more than happy to provide you with all the assistance that you might need. All you have to do is to ask. They will take it from there. Because there are many of them out there. Why? How? 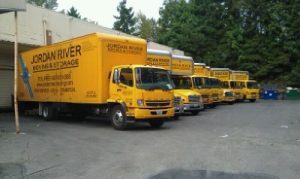 There are just so many moving companies on our market. And they aren't all legitimate. That is why you need to find yourself a reliable mover. A mover you can trust with your belongings' and your own safety. And that is something you will find here for sure. Team up with our movers and avoid moving scams, problems, and mistakes. All at once. Is it even possible to move in that manner? The answer is pretty simple. With some of the best cross country moving companies Connecticut by your side - everything is possible. Even moving with a smile on your face. So, wait no more and check our moving database. We are sure you'll find what you are looking for. Our team can help you move quickly, efficiently and stress-free. Just the way you like it. Give our teams a call today and learn more about your options right away, because as you already might know - time is a luxury when moving and you should use yours wisely!